The Snom D785 10 + 2 promotion begins on 1 September 2018! For more than twenty years now, Snom has been the first professional VoIP phones manufacturer to shape the market like no other. Millions of devices sold worldwide and extremely satisfied customers are proof of Snom’s success. Quality and innovation pay off. To celebrate our past and present successes with you we are launching one of the biggest special promotions in the history of Snom! Beginning 01.09.2018, we will offer you two free Snom D785*s (black) for every ten you purchase. This offer will be available until 31.12.2018. Being a member of the Snom Partner Program really pays off! 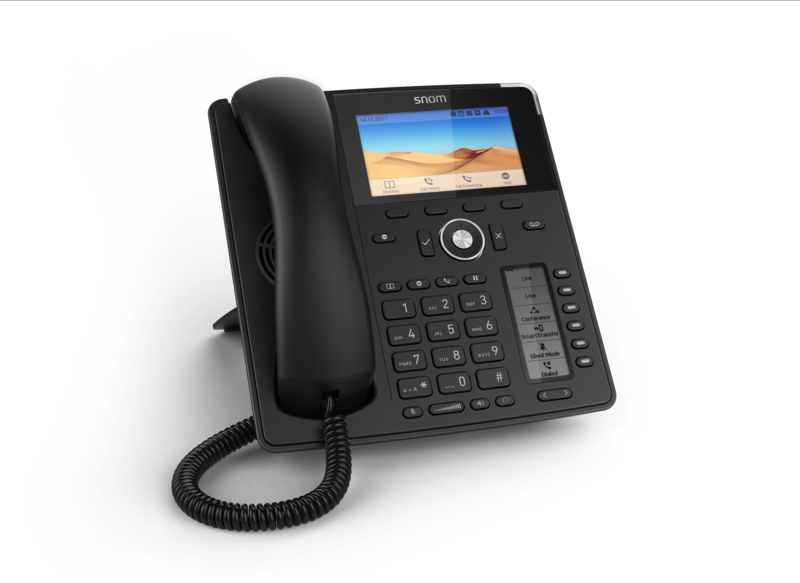 The Snom D785 belongs to the latest generation of advanced Snom IP phones. Elegantly designed and featuring a large high-resolution colour display and a convenient second screen for dynamic contact management as well as integrated Bluetooth, this IP phone has all the functions necessary to fulfil even the most demanding requirements. Featuring an integrated Digital Signal Processor (DSP), the Snom D785 has unprecedented HD audio quality. Based on 20 years of experience in audio engineering, Snom provides the best sound quality for every application. The timeless, modern design of the Snom D785, combined with a large high-resolution colour display is perfect for any working day. The newly designed user interface and second screen make using this telephone more intuitive than ever. The Snom D785 is the perfect combination of advanced technology and elegant design and sets new standards with its intuitive user interface. Due to its high-resolution colour display and practical second screen, the D785 marks another milestone in the twenty-year history of the VoIP phone pioneer, Snom. For more than twenty years, the story of Snom has been marked by success in the world of IP telephony. Success we not only owe to our products, but above all to our specialised resellers who every day show their faith in Snom by recommending and installing our devices all over the world. For this reason, we have set up a new global program that rewards our partners’ commitment and builds strong and lasting relationships. The Snom Partner Program provides flexibility for our partners to set their own degree of involvement and gain access to different levels of the program. 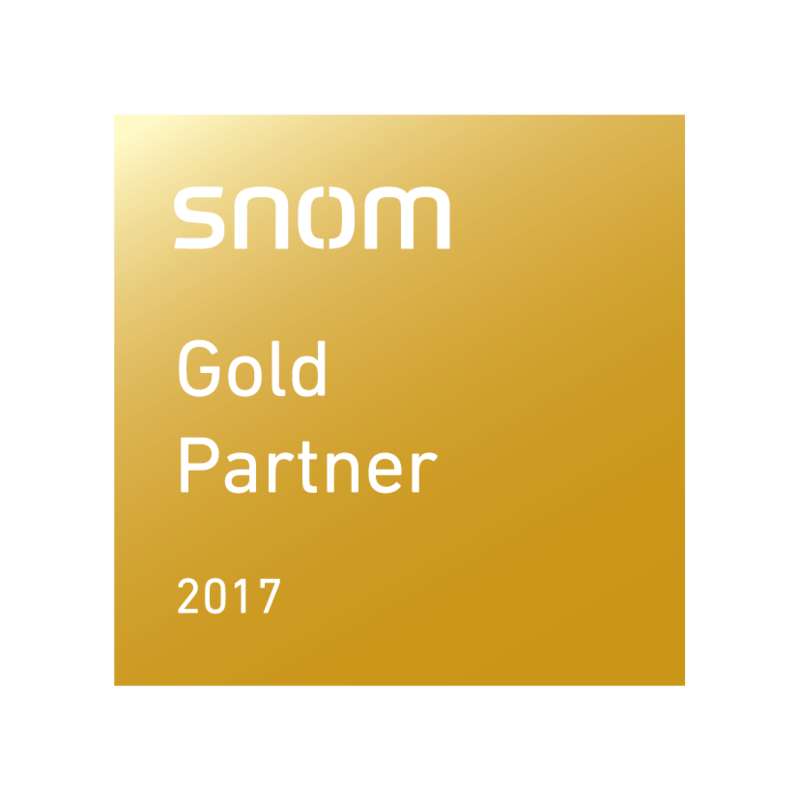 Our silver and gold level partners in addition will gain access to numerous sales-based incentives as well as significant discounts for the growth, know-how and added value they bring to themselves and our customers The Snom Partner Program is aimed exclusively at Snom specialised resellers and provides many benefits. Take advantage of the Snom brand, an award-winning, brand that is highly acclaimed on the market. Make the most of your specialised knowledge of Snom products as a winning competitive factor!